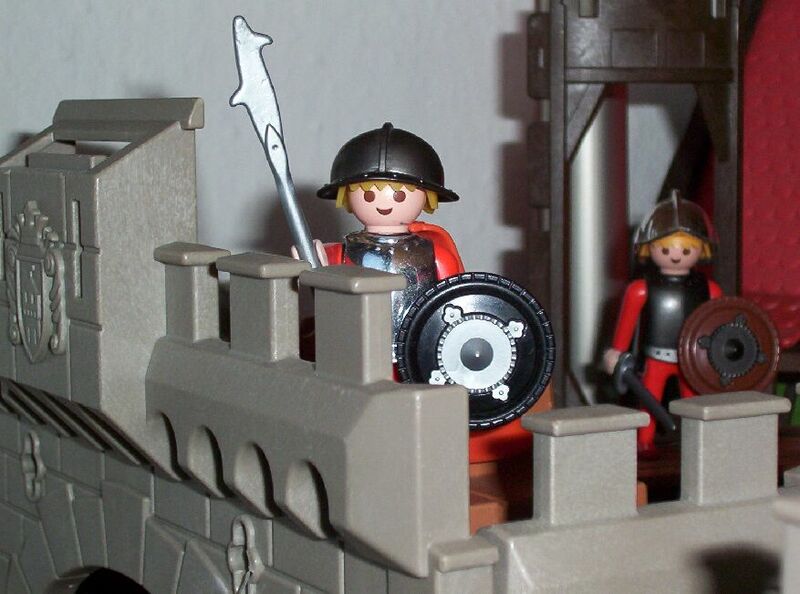 I am an enthusiastically PLAYMOBIL collector ( see here more.. ). After I read "The Mists of Avalon" at the end of the year 2003 I was so fascinated from this magical world that I had to build the world around Camelot, King Arthur and the round table by myself with Playmobil. Up to this time mainly american indians, cowboys, pirates and policemen where present in my Playmoworld. Therefore, I needed half a year to get enough pieces to realize this project. Finally, in the middle of 2004 I was able to finish the first version of Camelot and the Round Table. As in my opinion due to the existing sources ( see here more about historical background... )nobody can say if King Arthur has lived. Therefore, I have the freedom, like a novel writer, to present King Arthur, the Round Table and his knights as I imagine. Original I made this page to present King Arthur and the Round Table but by and by I want to show also my other favorites because I am not only a fan of the knights world.